World-renowned professor of economics and leader in sustainable development Jeffrey Sachs sits down with B.T. 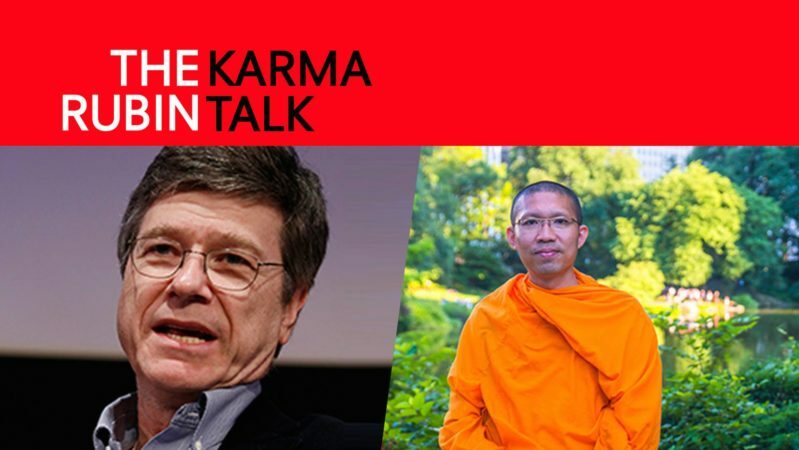 Bhikkhu, buddhist monk and Executive Director of The Middle Way Meditation Institute, to discuss how wisdom traditions can help us better achieve integral and sustainable development on our planet. Venerable Burin Thitakusalo (B.T. Bhikkhu) is the Executive Director of The Middle Way Meditation Institute, a New York-based global nonprofit organization that focuses on the promotion of inner peace education as a means to attaining world peace. Ordained as a Buddhist monk in Thailand since 2000, his quest is to bridge Eastern wisdom and Western science to serve humanity. Through his “World Peace through Inner Peace” project, he has touched people from all walks of life. He also travels globally to teach thousands of meditators from 30 countries on 6 continents.